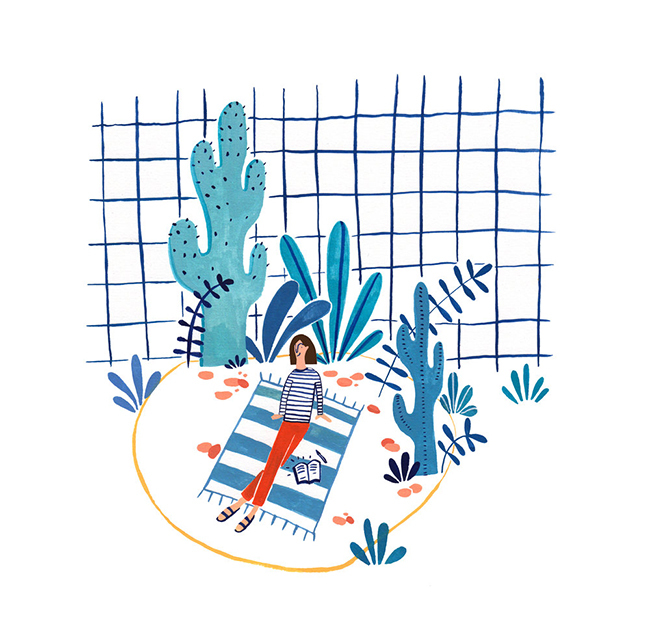 Today we are sitting down with the colourful and cheery illustrator Jessica Smith! Jess talks about her enjoyment from working with children's illustration and her love of the Muji gel pen. Let’s start at the beginning – how have you become the creative you are today? Have you always been a keen doodler or was this something that you accidentally stumbled upon? I've always been very creative even from a really young age, I was always drawing. But I think I only really realised that illustration was the way I wanted to go during my Art Foundation course. Since then my work has really changed and developed into something that I'm comfortable and confident with. Jess graduated from Falmouth University in 2016 and is currently represented by The Bright Agency. Jess how did you find your time at university and would you say that it aided your development as an illustrator? We notice that you have a lovely light and colourful style; what major influences have contributed towards this? Whether it be the plants we see in our garden or your favourite illustrators? And what do you love most about drawing in this way? Plants and botanical illustration are such a big influence on my work, as well as gathering inspiration from other illustrators! Pinterest practically guided me through my degree as it was often a starting point for many of my projects and initial ideas. I love playing with scale and sizing things up and down, and also with transparency and layering, whereby I can create dense and busy scenes which really lends itself to my style of working. I use gouache for the majority of my illustrations, and it is such a great tool for me. The opaque tendency of it means that when I paint block colours and shapes the layering effect you get in photoshop is so much more intense than if I were to use watercolour and I love this! I would like to get into use coloured pencil once day because I think the texture you get with it would be really interesting to work with. In the office we are big fans of your Jungle Book cover and the “I’m Stuck On You” illustration! What has been your favourite project to date and what would you love to work on in the future?! 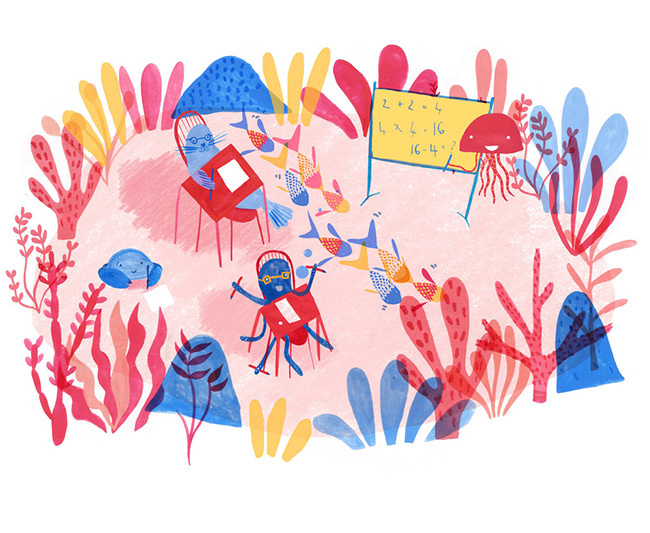 My favourite project to date, and one I think I learnt the most from, is probably this 'under the sea' children's illustration, mainly because it turned out so much better than I'd imagined. It was the first proper children's illustration that I ever did and I thought I was going to hate it. Turns out I didn't! In the future I'd love to do more pattern illustration and map work. I've only dipped my toes into these areas and from what I've seen I think I would really enjoy working on these kind of projects! Finally, what is a motto you like to live by? AND what if your favourite art supply? I don't think I really live by a motto, I just think it's really important to make work that makes you happy and hopefully it'll put a smile on someone else's face too! My favourite art supplies are definitely Windsor and Newton Gouache, and Muji black gel ink pens! I swear by them! Aug 11 OHH DEER’S SUMMER FIESTA!